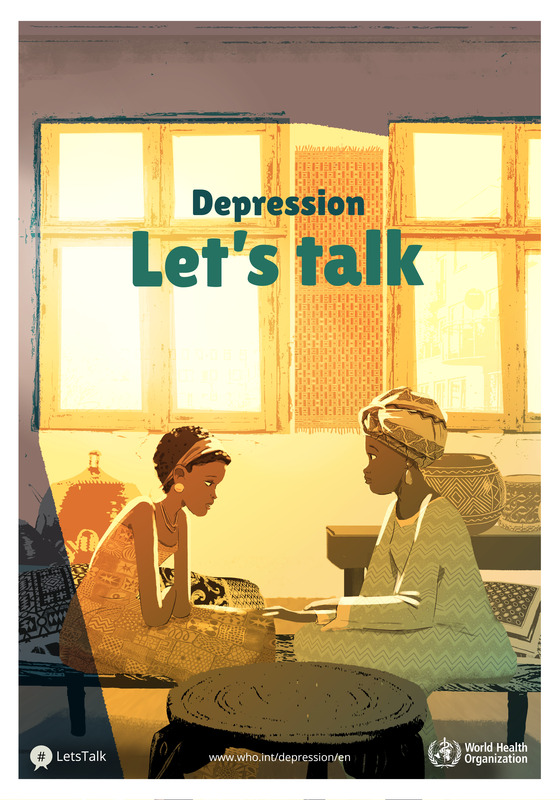 The World Health Day commemorated annually on April 7 was this year themed: Depression: Let’s Talk. For Africa, the theme was highly appropriate highlighting a pervasive problem that is largely shrouded in silence, especially among adolescents, and needs to be urgently brought out into the open to save lives. According to a recent report by World Health Organization (WHO), globally, the total number of people with depression is about 322 million people. Studies indicate that the African region accounts for 9 per cent (29.19 million cases) of the total number of depressive disorders globally. Depression affects people of all ages, from all walks of life, in all countries. It causes mental anguish and impacts on people’s ability to carry out even the simplest everyday tasks, with sometimes devastating consequences for relationships with family and friends and the ability to earn a living. While depression affects all ages, young people are particularly vulnerable. At worst, depression can lead to suicide, and is the second leading cause of death among 15-29-year olds worldwide. In the report, titled: Depression and other common mental health disorders, WHO states that depression is more common among females than in males, 5.1 per cent and 3.6 per cent, respectively. Depression in Africa is particularly neglected and adolescents face many challenges with regards to treatment and management of the disorder. Studies done on adolescents including those in Africa have shown that there is a link between depression in adolescents and sexual and reproductive health. A recent study by Africaid which explored the needs and experiences of HIV positive adolescents with major depressive disorders in Zimbabwe found that HIV positive adolescents attributed their depression to relationships with significant people in their lives and described non-adherence to anti-retroviral treatment (ART) as a means of suicide. Another study Hodgkinson et-al, amongst African-American and Latina adolescent mothers linked adolescent pregnancy with depressive symptoms. In another study by Gover A, adolescents who were sexually abused during childhood reported higher levels of depression as compared to adolescents who had not been sexually abused in childhood. Depression can be prevented and treated. A better understanding of what depression is, and how it can be prevented and treated, will help reduce the stigma associated with the condition, and lead to more young people seeking help. Developing personal skills : This involves sensitizing affected individuals (adolescent boys and girls) to enable them to seek help and to manage the disorder. Creating a supportive environment : It is important to sensitize the community on mental health disorders such as depression in order to reduce stigmatization and to capacitate the community to identify and refer individuals with signs and symptoms of such disorders. Reorienting health services : This involves the training of more health workers that are able to identify and manage depression. In addition it is vital to increase access to services (centers responsible for managing mental health disorders including depression). Covering the knowledge gap with regards to depression in adolescents especially in developing countries requires research in order to facilitate evidence based planning. Building a healthy public policy : It is important to screen and treat pregnant adolescents early as well as to support adolescent mothers with policies that allow them to continue with education or capacitate them with skills that enable them to work and support themselves and their children.